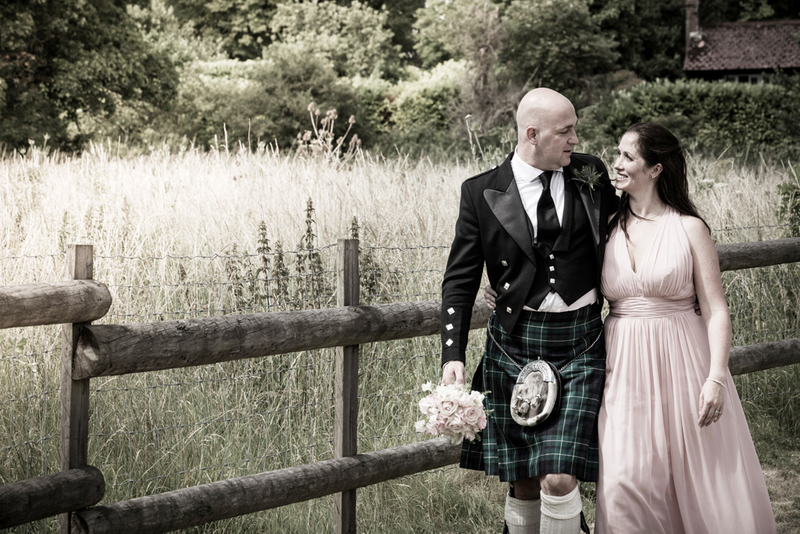 Sophie & Paul – A Sneak Peek! 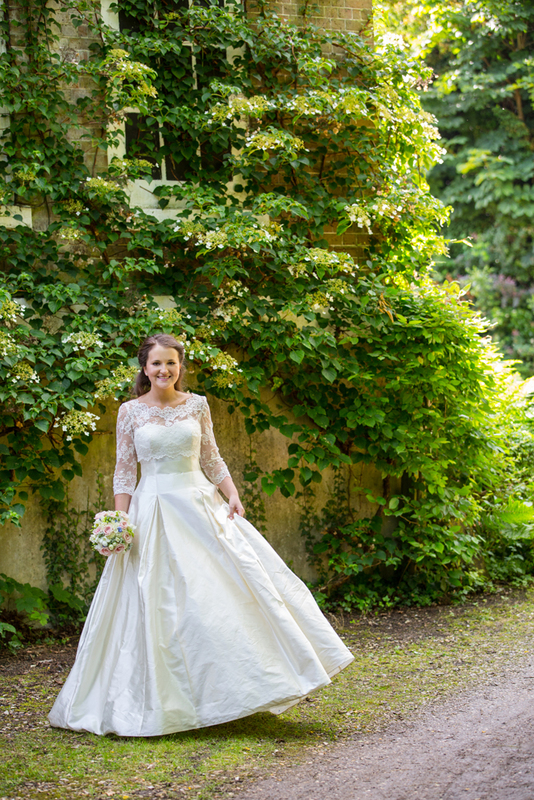 Sophie & Paul’s wedding was held on a beautiful sunny afternoon in July. 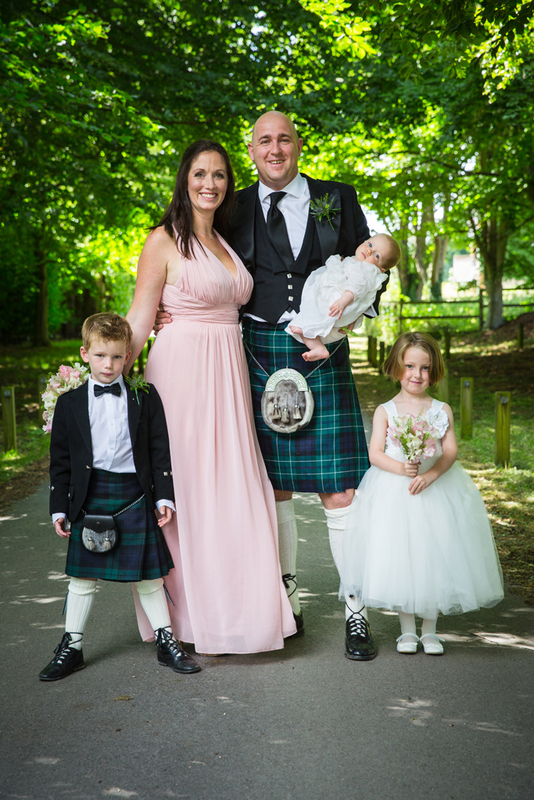 It was a real family affair & they celebrated it with their children including baby Alice. 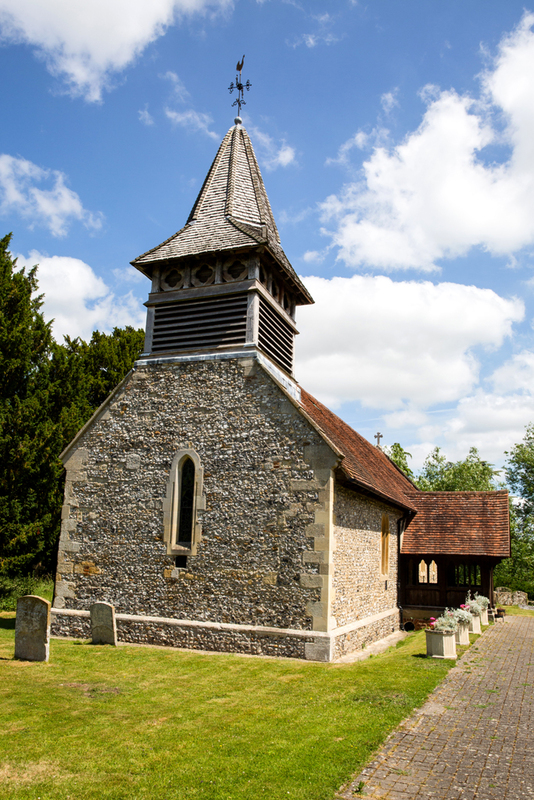 Their wedding was held in the parish church of St John the Baptist in the riverside village of Moulsford followed by a reception at The Pavillion in the village. 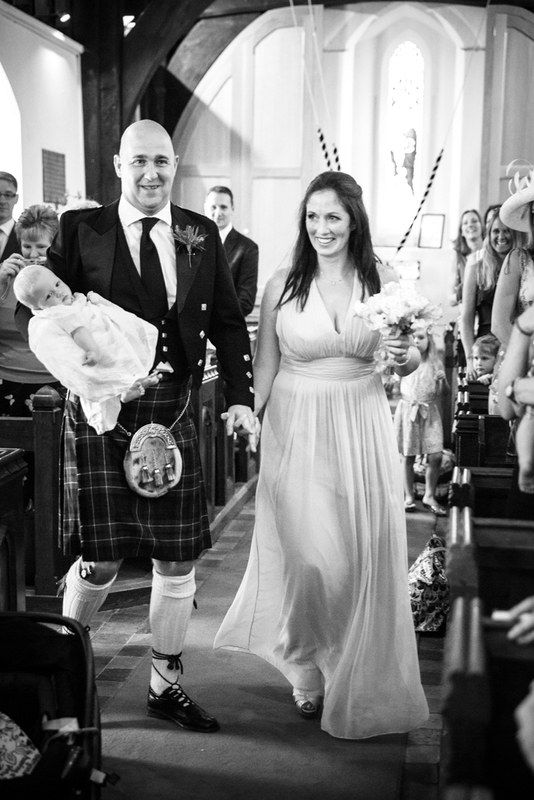 It was a lovely day of celebrations, they also celebrated Alice’s christening & Paul’s 40th birthday all on the same day. Kiti & I both started the day at the church. 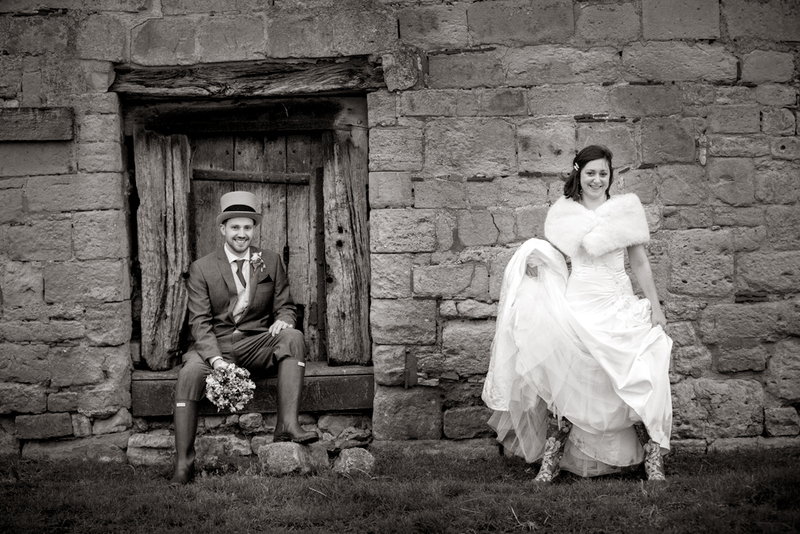 We took some images of the guests arriving before Sophie, Paul & the children arrived. 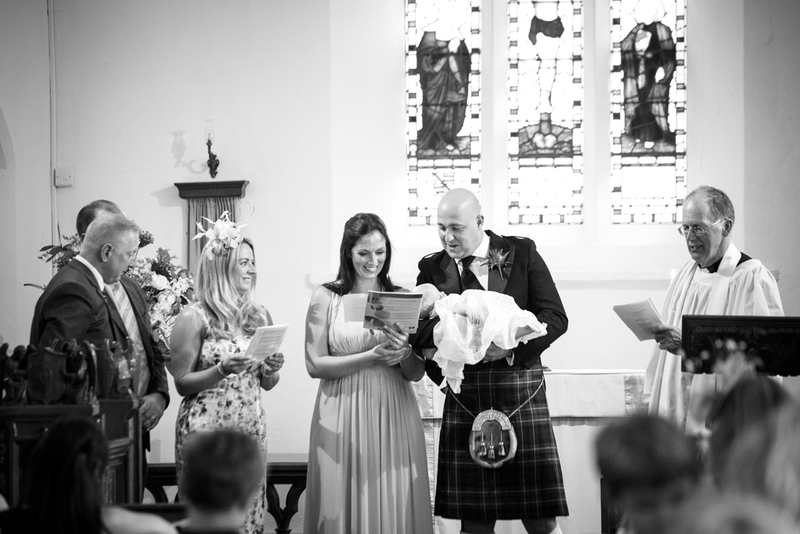 The church wwas very strict regarding images of the service but we able to take some lovely ones of Alice being christened. 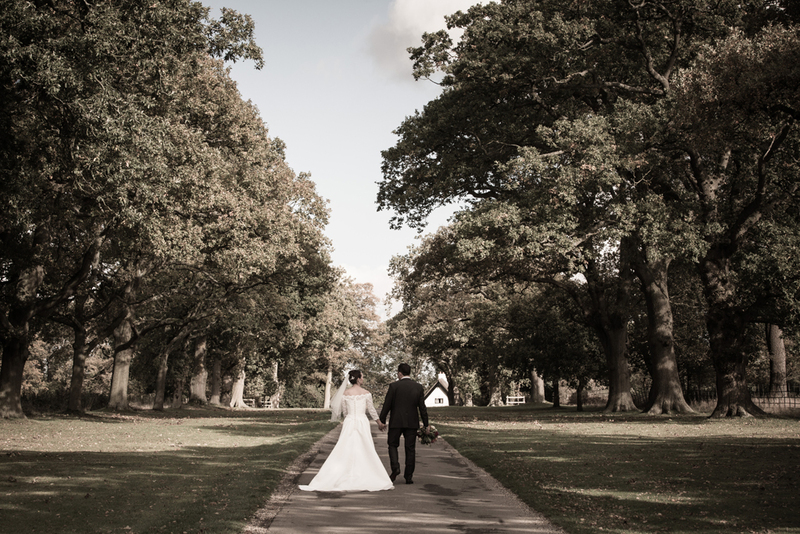 After the service the guest made the short trip to The Pavillion whilst I did some lovely shots of the happy couple in the countryside. 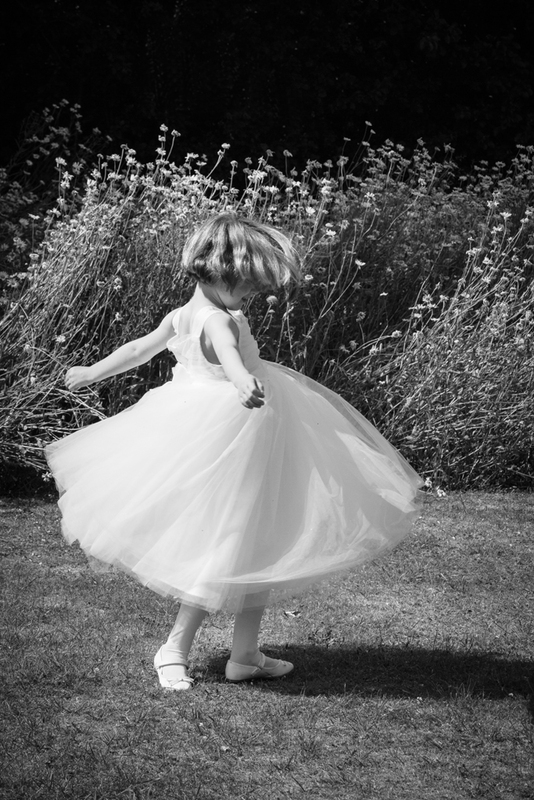 Their reception was a lovely afternoon tea party which was enjoyed by all ages before the children all ran towards the playground. 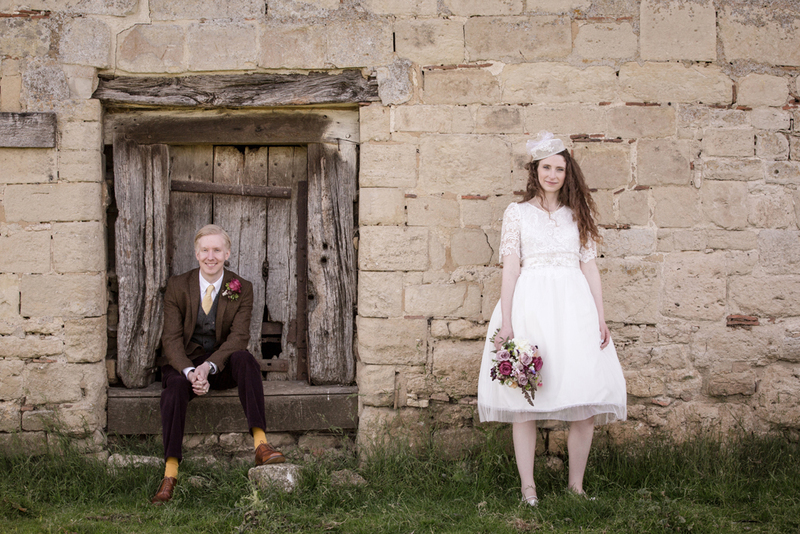 Sophie, Paul & family – we hope you enjoy your sneak peek. Wishing you every happiness for your future together! 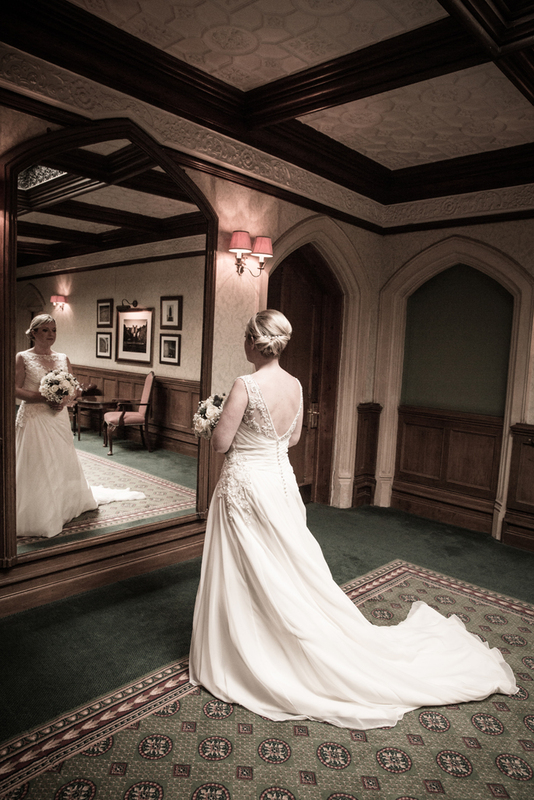 Recently I photographed the wedding of Nichola & Matthew at Oakley Court. 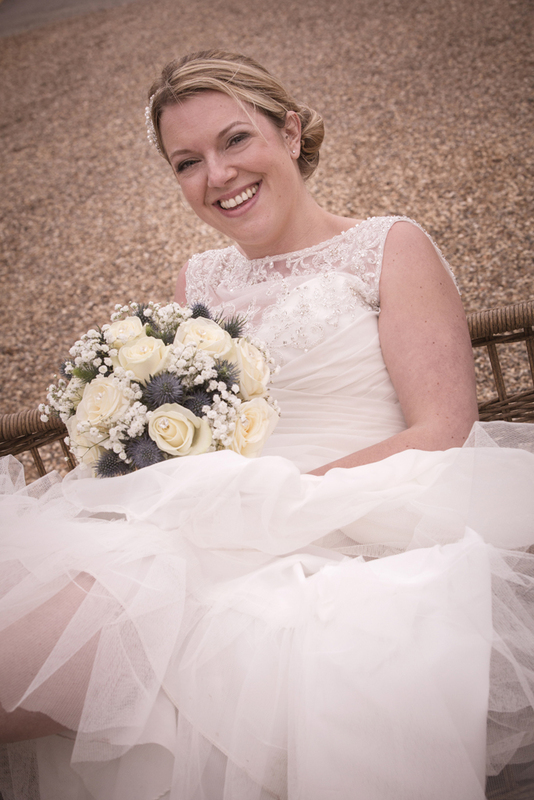 Its always lovely to be booked through recommendation & even better when its by one of my previous brides & grooms. 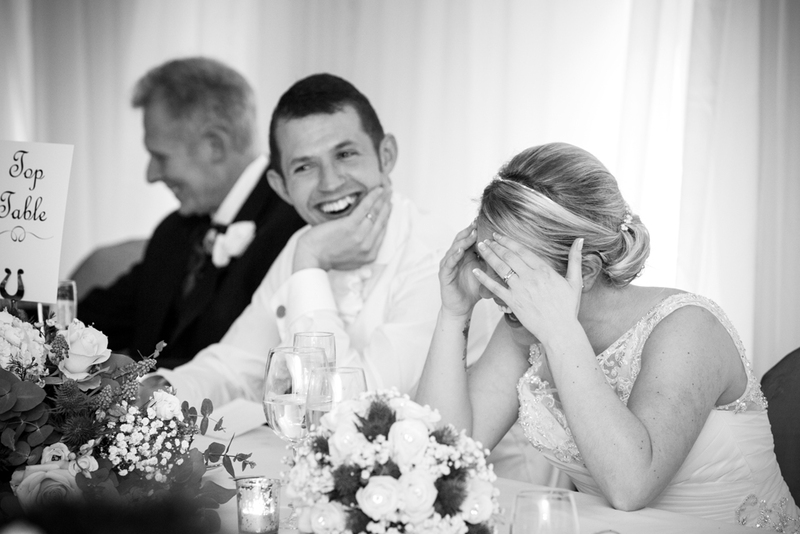 Several years ago I photographed the wedding of Matthew’s sister Suzanne & it was lovely to see her & her husband Kirk with their family celebrating her brother’s wedding. 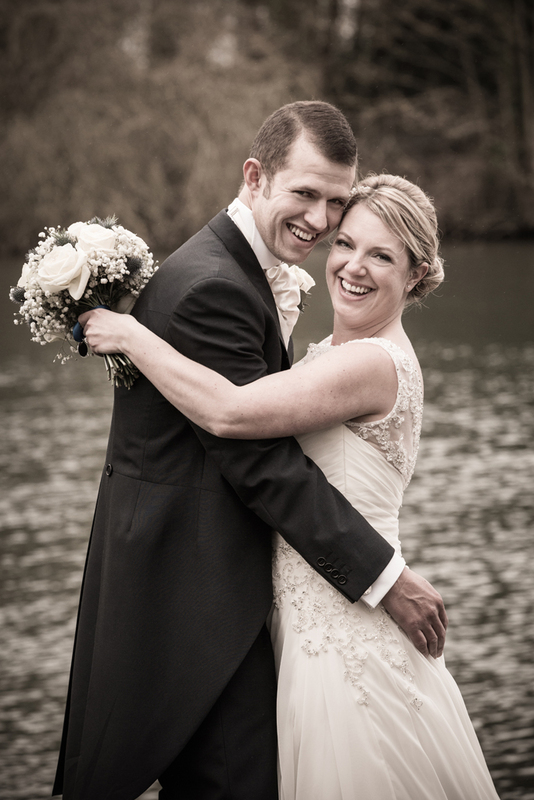 Now back to Nichola & Matthew’s day. 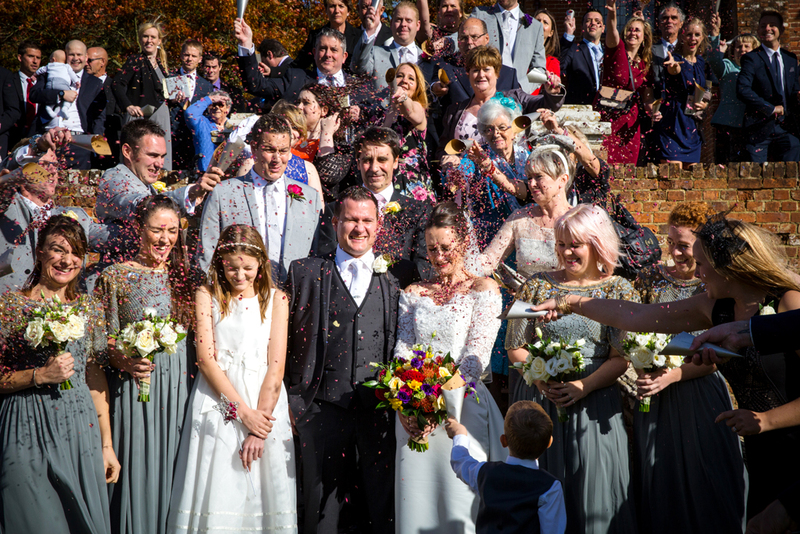 It was a really lovely family day & they had some very important people in their wedding party. 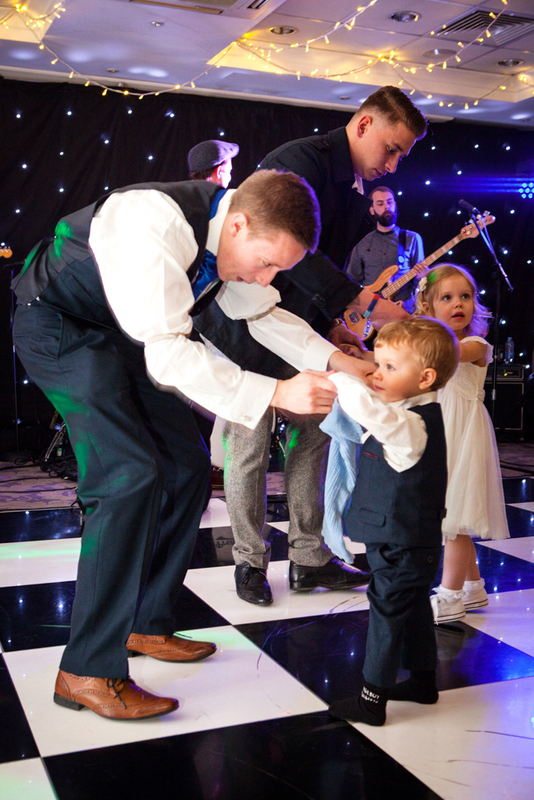 Matthew was ably assisted by his pageboy, their son Chase & Nichola was attended to by their daughter Daisy as bridesmaid. 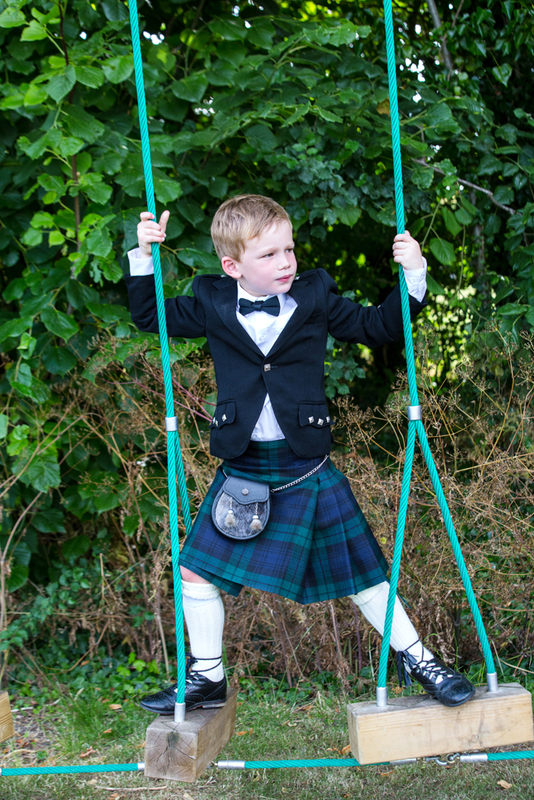 Having their children take part in their day was lovely & offered some fantastic photo opportunities. 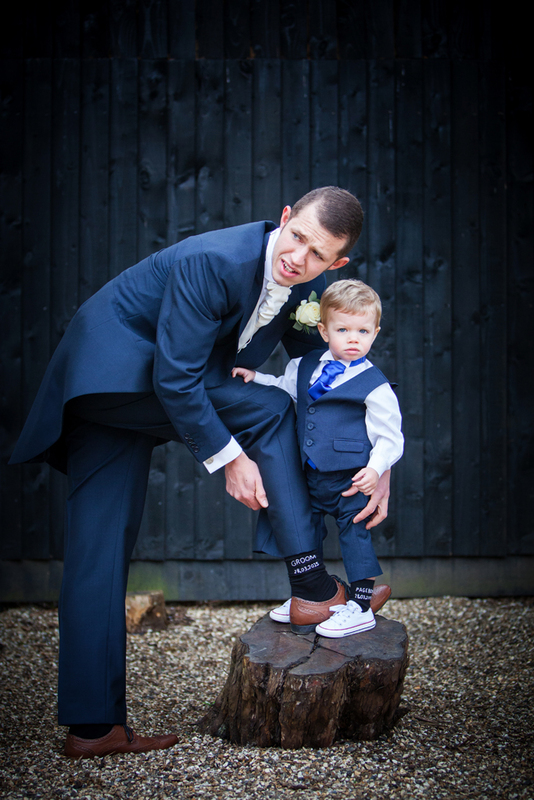 I particularly love this shot of Matthew & Chase looking cool in their special socks taken by Kiti. 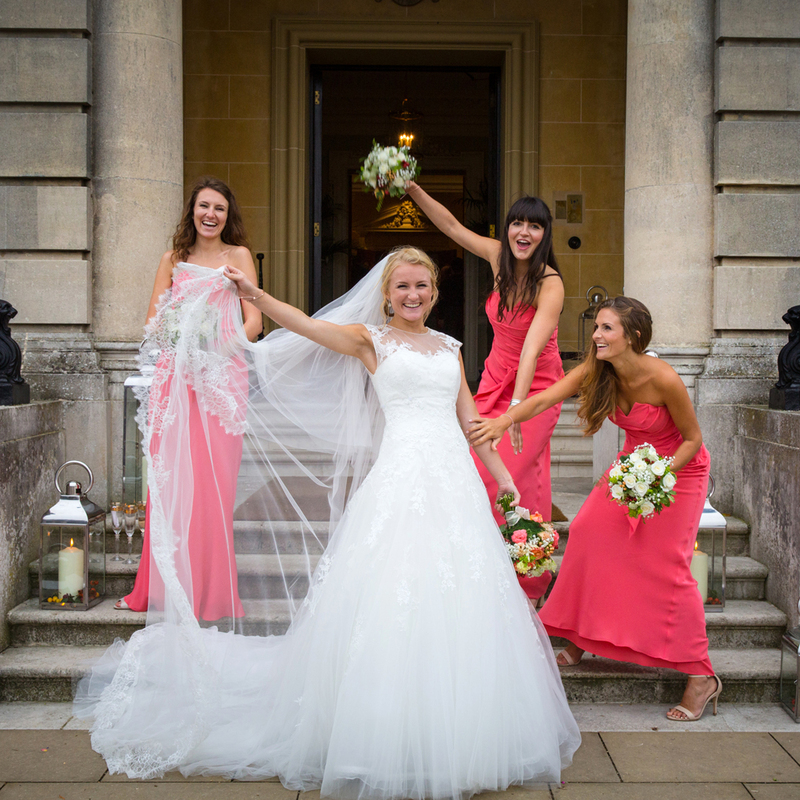 The whole wedding party got ready at Oakley Court, near Windsor before taking the short stroll to The Windsor Suite for the ceremony. 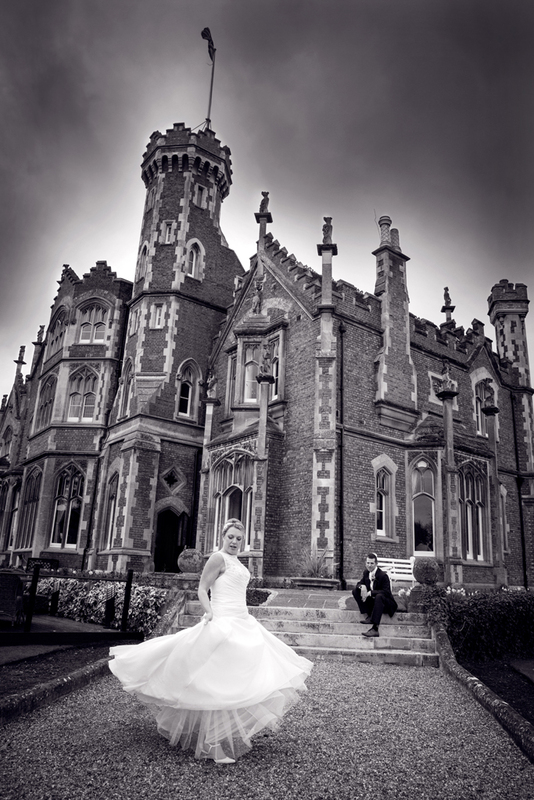 Oakley Court is a magnificent Victorian Gothic mansion, which is set amidst 33 acres of landscaped gardens, which go down to the banks of the River Thames. So after the ceremony & formal, & not so formal, group shots I took the bride & groom away to get some shots of the two of them together. 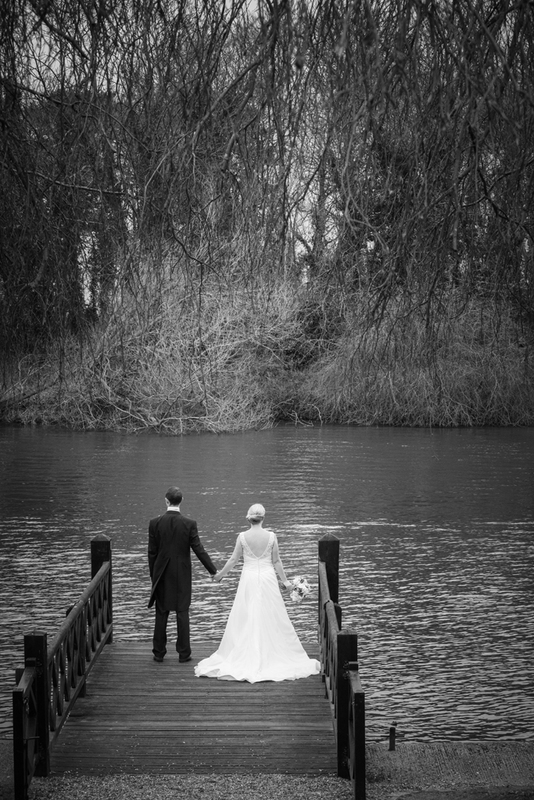 I love the stylish shots of them on the pontoon. We then left the river & we used the architecture of the historic building. 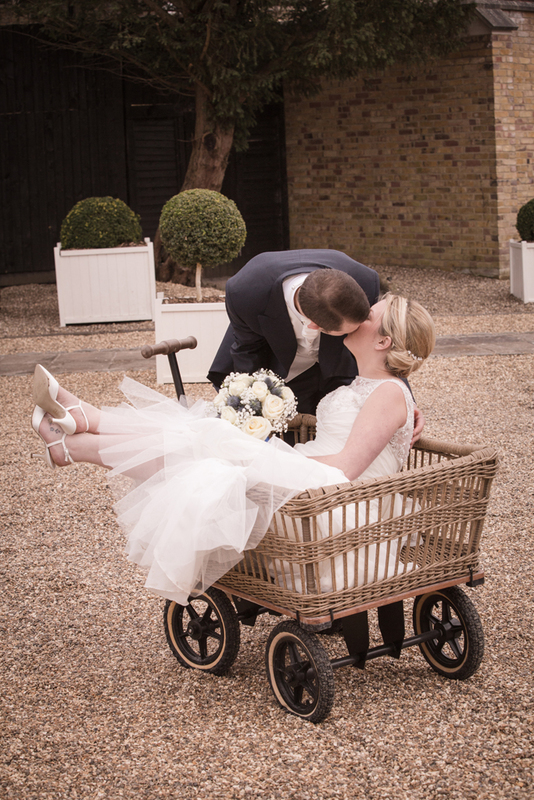 I loved it when the Bride offered to climb into a trolley basket! 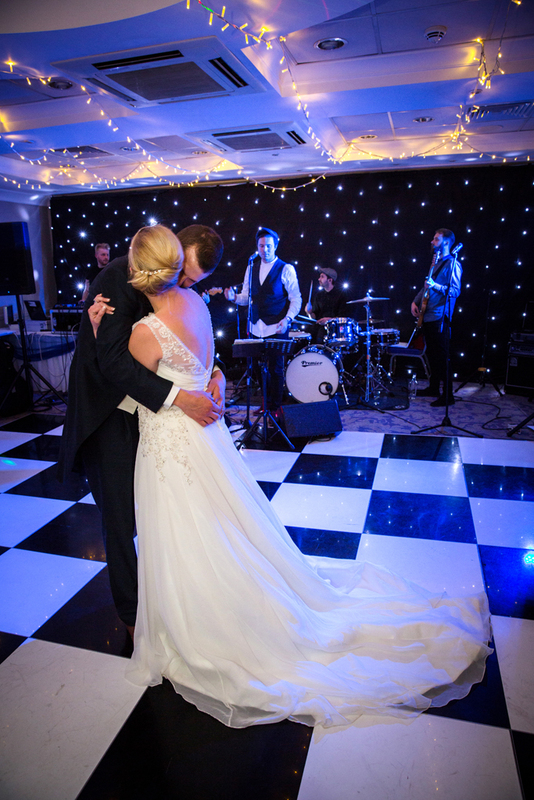 It was then time for the bride & groom to return to their guests for the wedding breakfast & speeches. 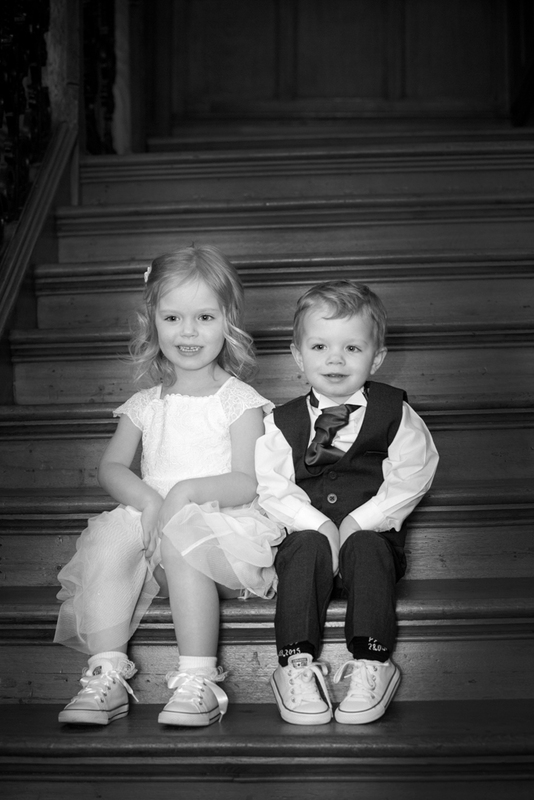 When photographing little ones it is always good to catch them when they are in the mood & during dinner I got some lovely shots of them as pageboy & bridesmaid. After dinner, it was time for the evening guests to arrive & as always Kiti & l Ieft everyone on the dancefloor. 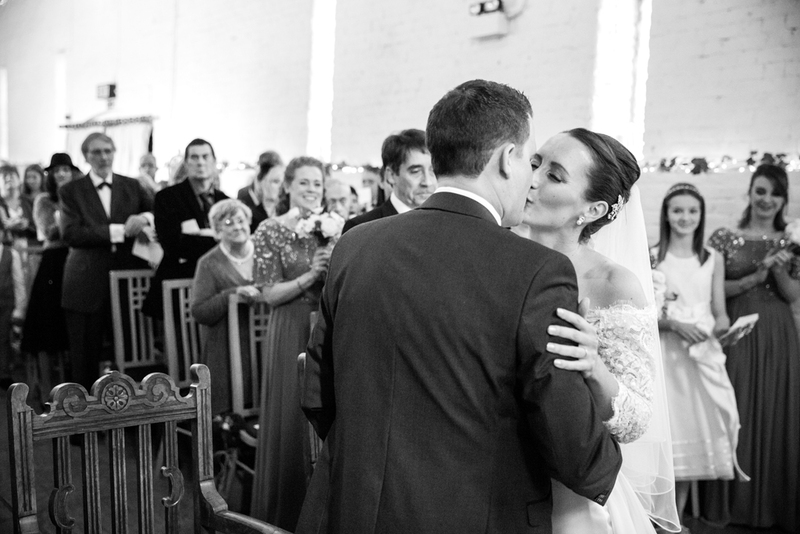 Claire & Tom were married on a sunny autumn Sunday in October at The Tithe Barn at Ufton Court. 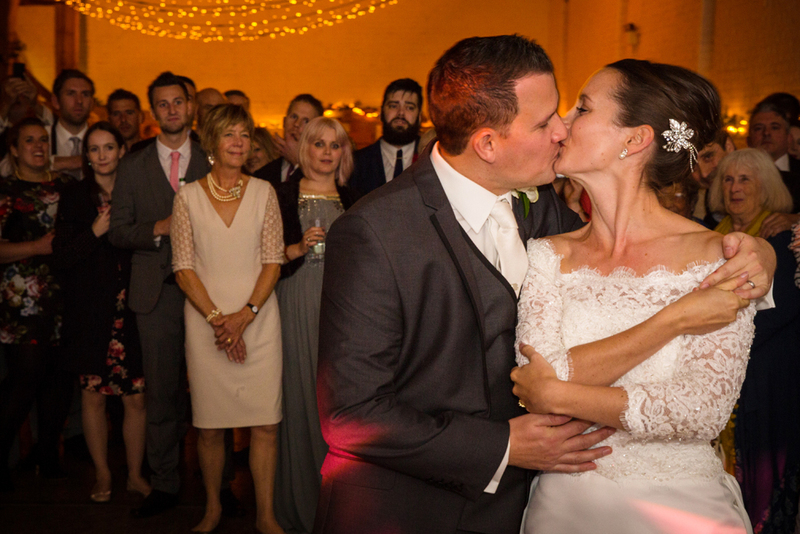 Claire & Tom both got ready elsewhere but the ceremony & reception were both held at Ufton Court which is a great venue in the Berkshire countryside. I always find that when the day is at one location everyone relaxes & enjoys the day. 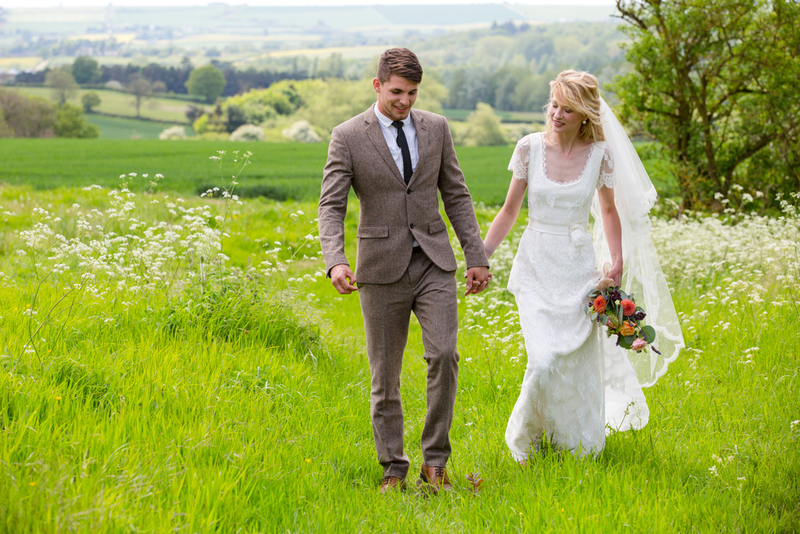 No worrying about transport, your guests finding their way from A to B or getting lost! 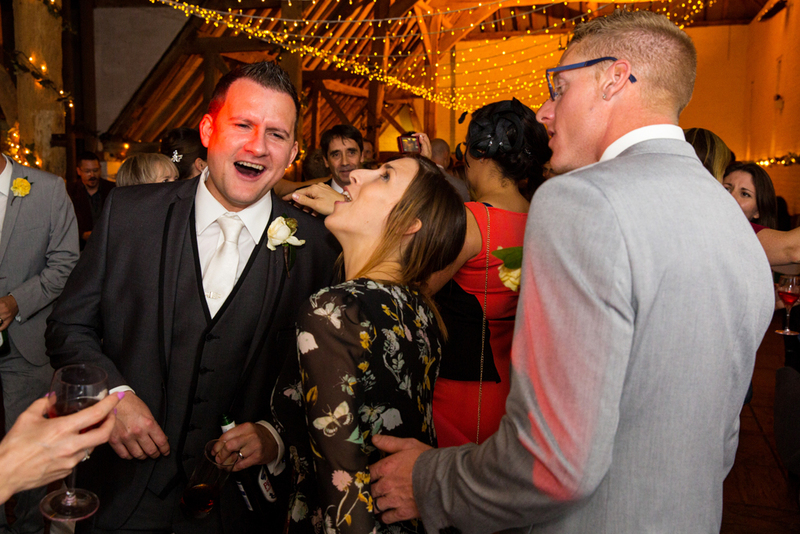 The Tithe Barn at Ufton Court is a beautiful, historical building & provides a blank canvas for whichever style you go for on your big day. 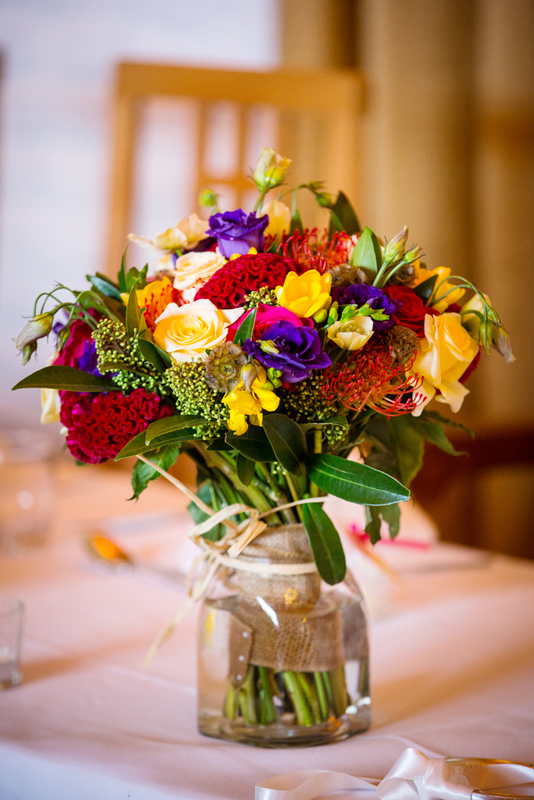 Claire & Tom had vintage vibe with posy filled vintage chinaware but with a modern hot pink & primary colour twist. 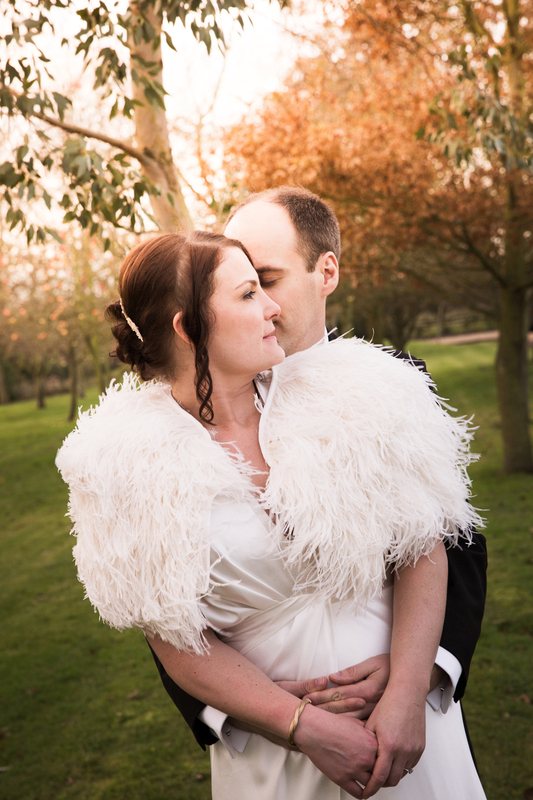 After a beautiful service I took Claire & Tom around the grounds at Ufton Court for some stylish pictures of the two of them. 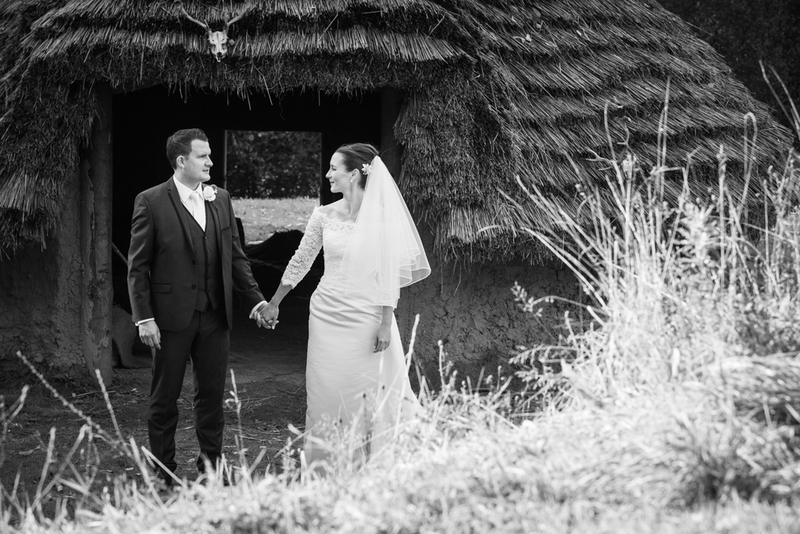 The architecture provided some fantastic backdrops even including an Iron Age house! 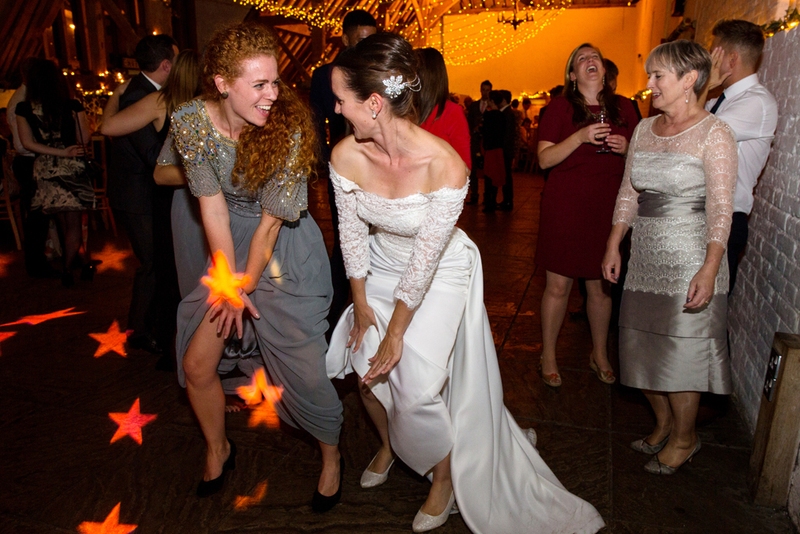 After a fun filled wedding breakfast & speeches, including one about an owl, I left Claire & Tom dancing the night away with their friends & family. 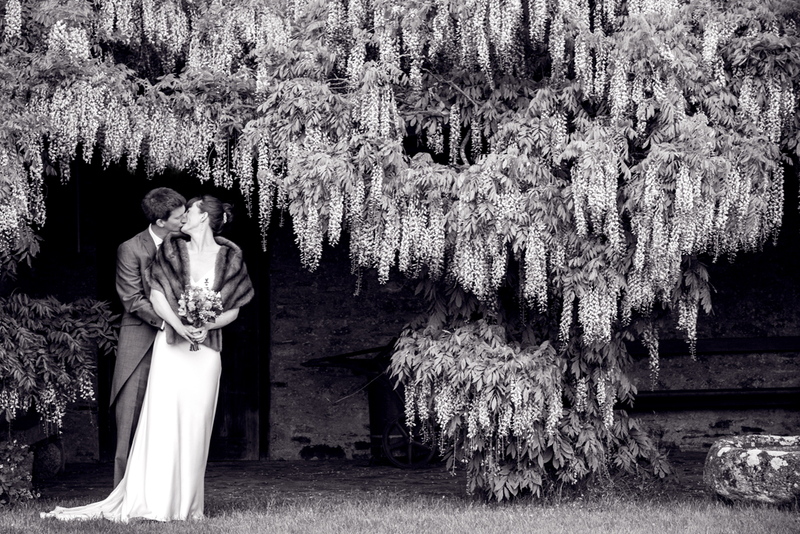 I hope you enjoy your sneaky peek Claire & Tom. Wishing you every happiness for your future together.